Over/Under: Over 144.5 at 1.90 Bet Now! The opening game in Group takes us to Belgrade with the home side celebrating their third consecutive season in the Euroleague. 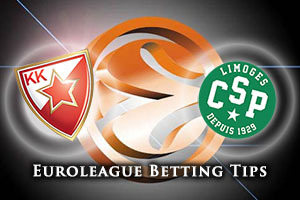 They welcome French side Strasbourg who play in the Euroleague for the second time in three years. This is the first competitive meeting between these two sides. While the home side have plenty of experience in their ranks, they have overhauled their squad this summer, and there could be a number of players making their Euroleague debut in Belgrade this week. Ryan Thompson, Borisa Simanic, Stefan Nastic and Marko Gudruic could all make their Euroleague bow, but there will still be a level of expectation placed on Crvena, no matter how experienced the line-up is. The size, strength and power of players like Sofoklis Schortsanitis, Maik Zirbes and Stefan Nasti should ensure that the Belgrade fans enjoy their night on Thursday. Strasbourg have played 12 Euroleague games on the road this century and they have lost every one of them! This means that history may be against the French side as they head to Belgrade but you could also argue that a run like that has to end at some point. You also need to take on board the fact that players like Kyle Weems and Roddy Beaubois will be making their Euroleague debuts, so they haven’t tasted defeat in any road game in the Euroleague and you can bet that they will not be keen to start this week! 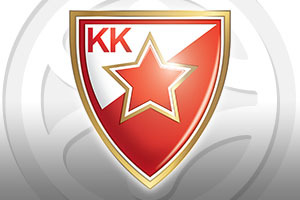 The home sides are clear favourites for this game so the Spread market is the best place for value, and you will be able to find Crvena Zvezda Telekom Belgrade listed at -6 at odds of 1.90. Anyone keen to take advantage of the Over/Under market should look to go OVER 144.5, which is available at odds of 1.90. Bet Now!